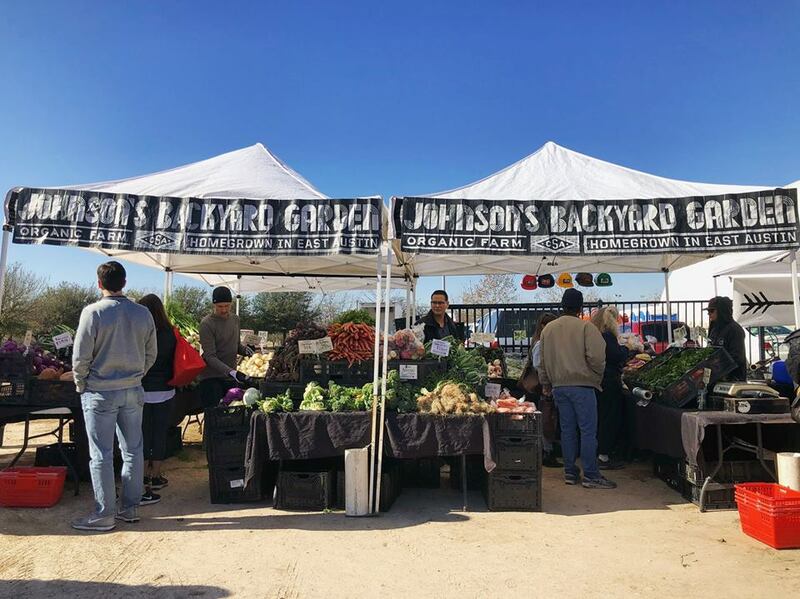 The Sustainable Food Center holds two farmer’s markets in Austin — downtown at Republic Square and in Sunset Valley at the Toney Burger Center, both on Saturdays from 9 a.m. – 1 p.m. Visit either of the SFC Farmers’ Markets to find local fruits and veggies, cheeses, meats, and eggs. flowers, herbs, plants and soaps, jams, jellies, salsas, and honey, plus delicious ready-to-eat foods. There are also children’s activities and live music each week. For highlights of what will be at the market each week, click here. You can visit this market each Sunday from 11 a.m. – 3 p.m. at Plaza Saltillo in East Austin. (412 Comal St.) You’ll find the best of Austin culture: food, crafts, music, art, and community exchange. There’s a little bit of everything including farm-fresh produce, meat & dairy, tasty brunch, gifts, and live music. 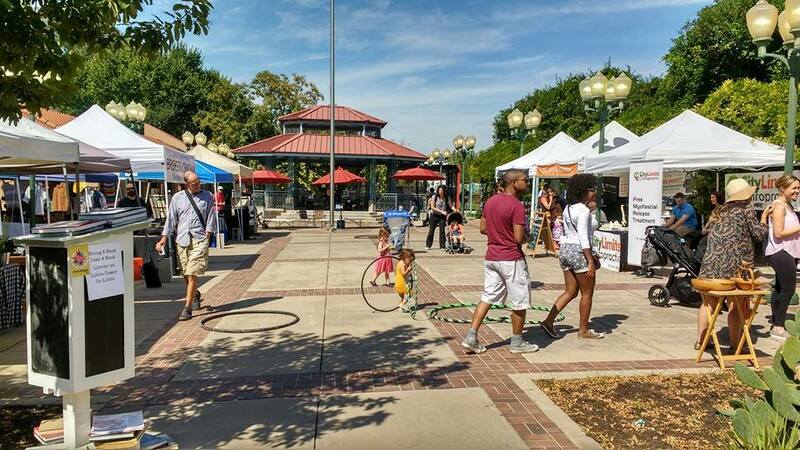 Each week, this market hosts yoga, games, a reading nook, the Imagination Playground for kids, and sample tastings. You can keep track of their special events on their Facebook page. Located in the parking lot of the Barton Creek Square Mall, this market is open every Saturday from 9 a.m. – 1 p.m., rain or shine. In addition to fruits and vegetables, they sell grass fed and pasture raised beef, lamb, pork and chicken as well as local milk and butter. The market is a weekly celebration of fresh, local food, live entertainment, kids activities and community. Click here for a listing of vendors. You can check out the Texas Farmers Market at two locations — Lakeline Mall on Saturdays from 9 a.m. – 1 p.m. and at the Mueller Hangar on Sundays from 10 a.m. – 2 p.m. as well as Wednesdays from 5-8 p.m. Each market sell a variety of local, sustainable direct-to-consumer produce, meats, dairy and artisanal goods from over 70 Texas farms and food producers. For more info and for lists of vendors, visit their website here. In addition to the farmers markets noted above, a few local farms hold weekly market days. 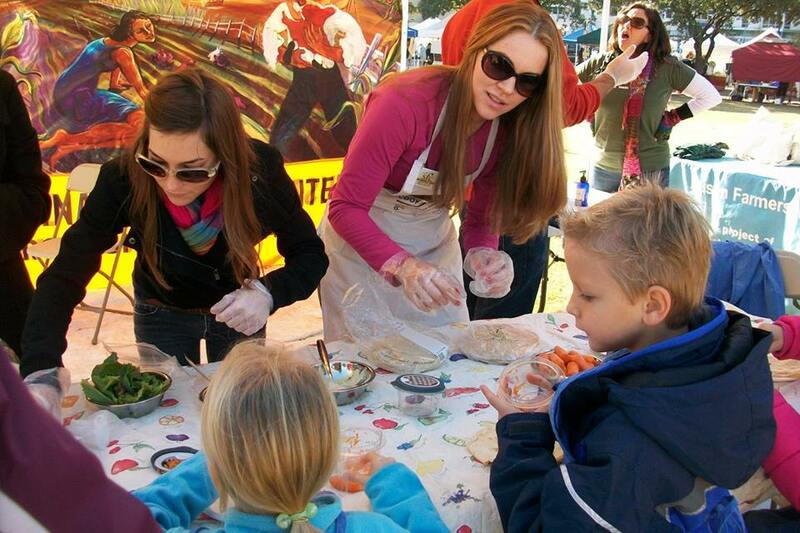 Click here for our round-up of where to find Family Fun at Local Farms. Note: It’s a great idea to check the market’s website or Facebook page before heading out to verify what vendors will be present! There is a brand new farmers market at the domain on Sundays 3-6.